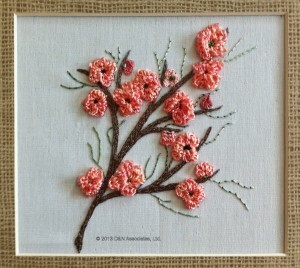 This is a beginners BE kit from jdr-be.com, kit 6, to learn the detached buttonhole stitch using rayon threads. Finished size 6 inch square. My only disappointment with the kit is that the photo on the website and on the kit showed a nicely variegated peach color thread and the thread with the kit was nearly a solid peach color. 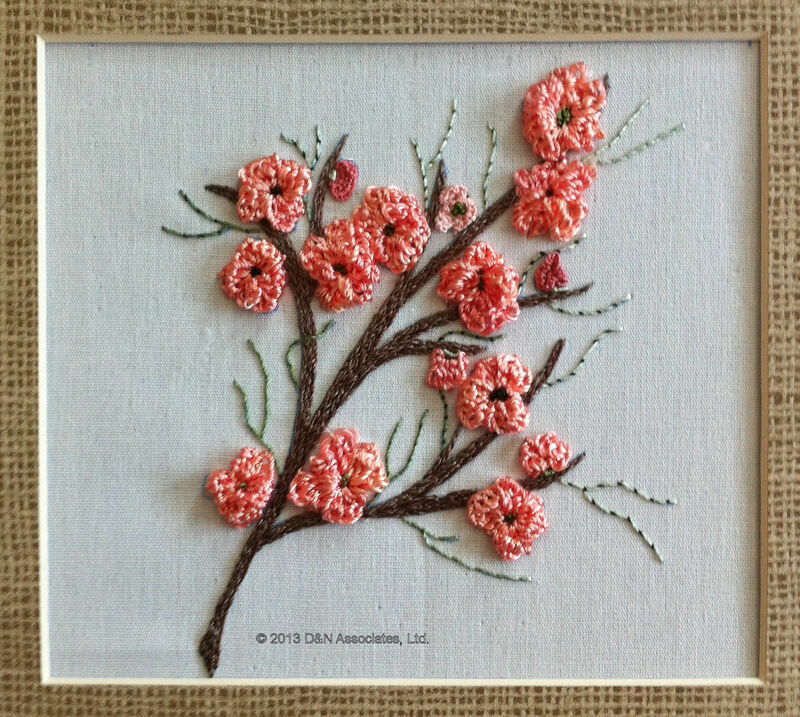 I did do three of the peach buds using plain silk thread just to bring some other color into the piece. The branch is split stitch, using a slightly variegated brown rayon thread.